This is a super easy and clean look for summer. I polished three coats of OPI Alpine Snow followed by one coat of Seche Vite. 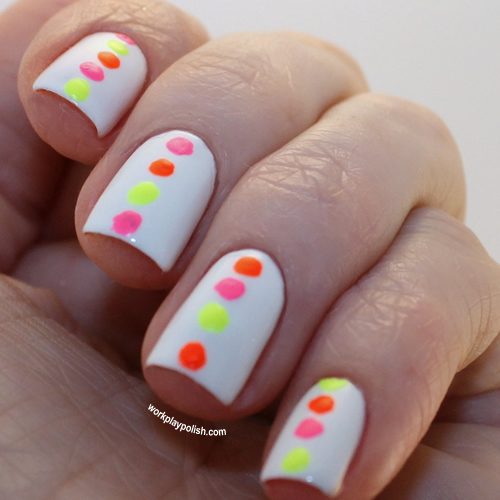 After it dried, I used a dotting tool to make a single row of neon dots. Originally, I set out to make absolutely perfect dots, but the first finger turned out, how should I say it...less than perfect. 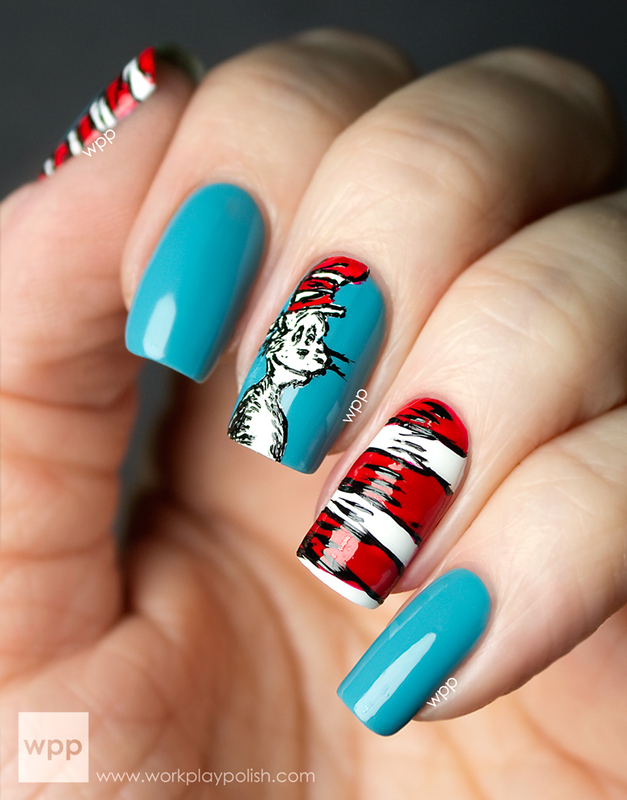 But the quirkiness grew on me so I tried to duplicate the look on the other nails. 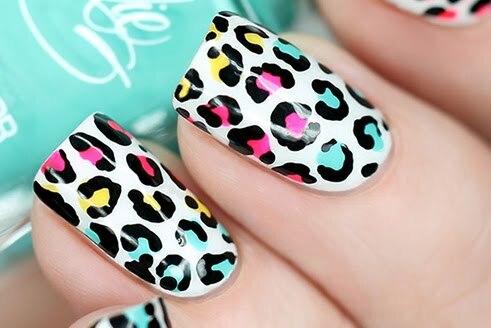 I used drugstore neon polishes from Sinful Colors in Neon Melon, Summer Peach and Fusion Neon. I didn't add a final topcoat because neon dries matte and I liked the contrast. It's hard to capture the neon in a picture!